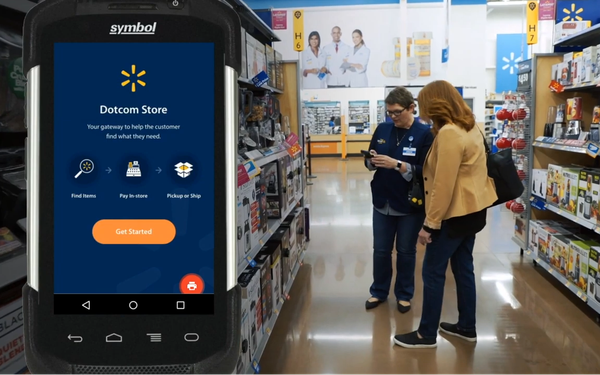 Walmart has introduced a new mobile app to enable store associates to accept in-aisle orders for items from Walmart.com. Shoppers will be able to pay for the items using credit cards, cash, debit cards or Walmart Pay. With the new service, a Walmart shopper who cannot find a particular product in the store, since the product may be sold out or not be the correct brand or size, can contact any nearby store associate. The associate then can use their in-store device to help the customer select the right item. After being selected, the item can be shipped to the shopper’s home or delivered to the store for free for a later pickup. The customer is sent a receipt or email that can be used to pay, and the shipping process begins at checkout.